His Excellency Prime Minister Dr. Haider Al-Abadi has received, in his residency in Kuwait, The Federal Ministry for Economic Cooperation and Development (BMZ) is headed by the Minister Dr. Gerd Müller and a number of representatives of German companies. The German minister has made a presentation to start of strategic projects in Iraq during the next two months, including the electric power sector, creating thousands of jobs, training thousands of Iraqi youth with professional specialties by the best German companies, and setting up vocational training centers. 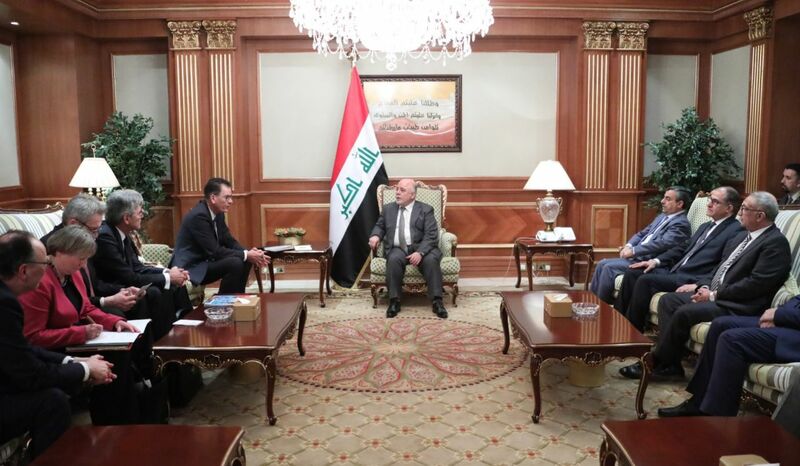 The German delegation have provided funding for a number of projects in Iraq, assuring Germany's support for Iraq and its continued standing with it in various fields and encouraging German companies to work in Iraq.